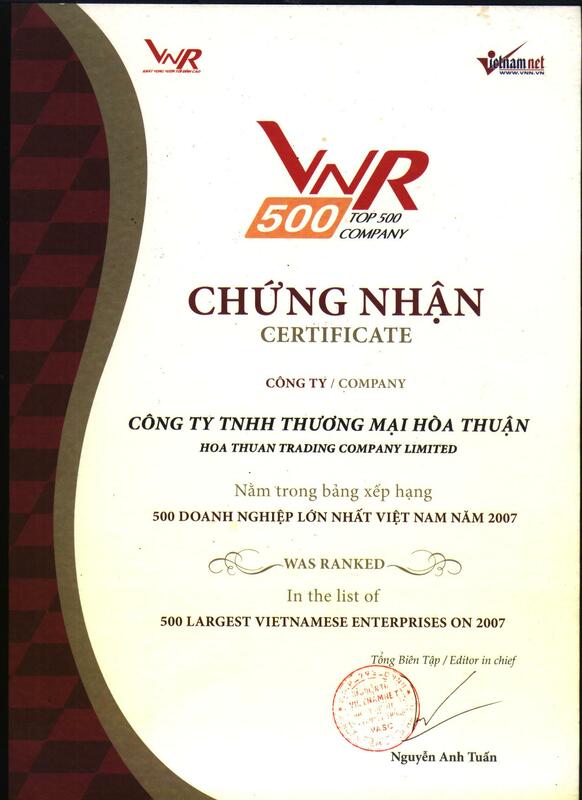 Hoa Thuan Co.,Ltd were established in 1990 and one of biggest Rubber producer as well as exporter in Vietnam. We are specializing in producing Natural rubber with various kind of meterials such as : SVR 10, SVR 3L , SVR 20, RSS3 , SVR CV 60, SVR 5, SVRL, Mixtures of SVR3L and SBR1502, Mixtures of SVR10 and SBR1502. The company head office is situated in Hochiminh City in Vietnam and have some factories stay in Tay Ninh Province, Binh Duong Province Binh Phuoc Province, Dongnai Province . They are producing for 24 hours, with skilled staffs and modern equipments, Hoa Thuan company‘s production capacity is over 20,000 tons/year, export turn-over reached 400 billions VND, over 24 millions USD/year. Over 90% our products are exported. Always proving our commitment to the qualtity, we have been getting the confidence of customers in overseas markets as Autralia, New Zealand, Japan, Usa, Uae, England, Malaysia, France, Singapore, Taiwan, China, Mexico, Brazil, Argentina, Pakistan,Brazil, Uruquay, Rusia, Romania, Bangladesh, Phillipines, Uruquay, Turkey, Spain…. so on.